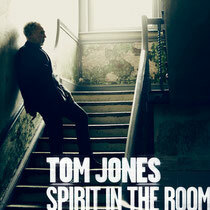 ‘Spirit In The Room’ on 21st May 2012 through Island Records. Universally graced with critical and commercial success – reaching No 2 in the UK, ‘Praise And Blame’ saw Tom mark a return to his roots and emerge with a powerful body of work drawn from the American spiritual repertoire. Now moving forward with ‘Spirit In The Room’, Tom draws on an evocative range of compositions executed with an unprocessed passion that make them his own. There is an interpretation of Tom Waits' ‘Bad As Me’, a wonderful of Odetta’s ‘Hit Or Miss’, the front porch blues of Vera Hall Ward’s ‘Travelling Shoes’ and a reading of the other-worldly ‘Charlie Darwin’ by Low Anthem — all revealing Tom as he continues to explore his artistic landscape. ‘Spirit In The Room’ once again brings together Ethan Johns (Brit Award Producer of the Year 2011) and Tom for intimate performances with a very considered and select group of musicians — multi instrumentalist Johns, Richard Causon on vintage keyboards, piano, guitars (Ryan Adams, Kings Of Leon and Rufus Wainwright), Warpaint’s Stella Mozgawa on drums, and Ian Jennings and Sam Dixon on bass. 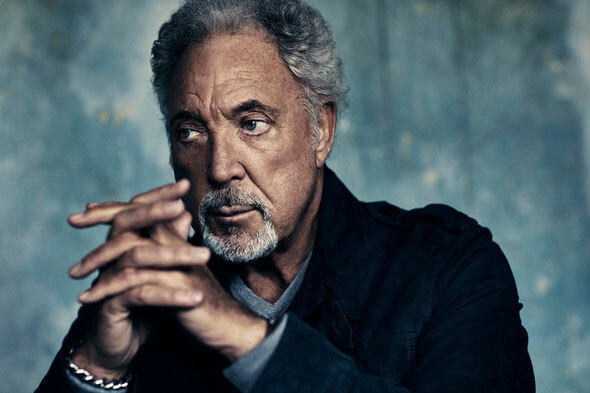 Recorded at Bath’s Real World studios, the album, like its predecessor, allows an unvarnished Tom Jones to bring a voice to songs as only he can. Accompanied by Ethan Johns throughout, the album includes tracks from a diverse choice of writers - Richard Thompson, Leonard Cohen, Paul Simon and Paul McCartney amongst others. Ever busy, Tom has also graced a recent single on Jack White’s Third Man label. Featuring Howlin’ Wolf’s ‘Evil’ in his own inimitable style and produced and played by White and some of his Raconteurs, the single comes backed with a reworked version of Frankie Lane’s classic ‘Jezabel’ and has already picked up widespread praise.